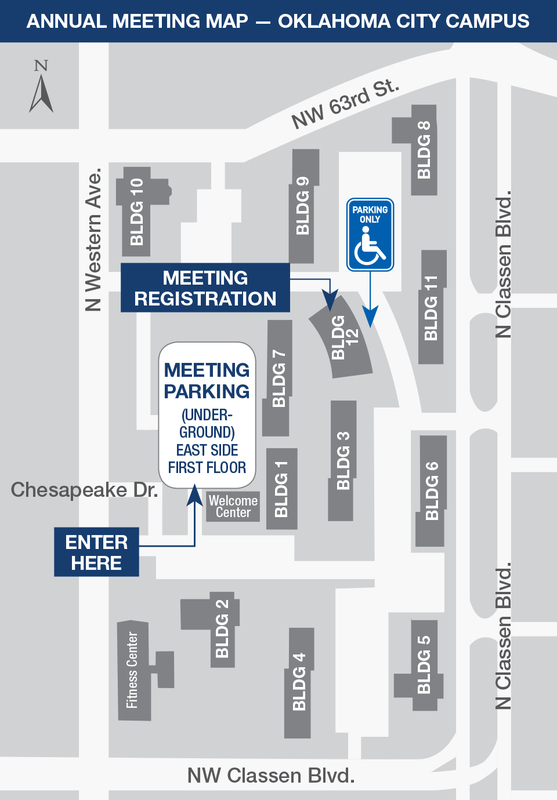 If you plan to attend the meeting, you must be a shareholder on the record date and obtain an admission ticket in advance. Tickets will be available to registered and beneficial owners and to one guest accompanying each registered or beneficial owner. You can print your own tickets and bring them to the meeting to gain access. Tickets can be printed by accessing Shareholder Meeting Registration at www.proxyvote.com and following the instructions provided (you will need the 16-digit number included on your proxy card, voter instruction form or Notice). If you are unable to print your tickets, please call us at 405‐935‐6100 for assistance. Requests for admission tickets will be processed in the order in which they are received and must be requested no later than Thursday, May 16, 2019. Please note that seating is limited and requests for tickets will be accepted on a first-come, first‐served basis. If you are unable to attend the meeting, you can still listen to the meeting, which will be webcast and available on our Investor Relations website at www.chk.com/investors. On the day of the meeting, each shareholder will be required to present a valid picture identification such as a driver's license or passport with their admission ticket, and you may be denied admission if you do not. Seating will begin at 9:00 a.m. and the meeting will begin at 10:00 a.m. Cameras (including cell phones with photographic capabilities), recording devices and other electronic devices will not be permitted at the meeting. You will be required to enter through a security check point before being granted access to the meeting. Visit www.proxyvote.com. You will need the 16-digit number included in your notice, proxy card or voter instruction form.